So you just spent your last holidays in Morocco and were inspired by the richness of their home decors. Maybe you are thinking of renovating your abode soon and would like to use Moroccan style home décor design ideas as inspirations. We suggest some easy and fun tips that you can follow for an authentic look. Undoubtedly, rich colours are part of Moroccan culture. Use reds and oranges liberally as a dominant colour in your fabrics and paints. For example you can use bright orange interspersed with browns and greys. Take bright fabrics as drapes or hang them loosely in a room simulating the appearance of a tent. Blue is another dominant hue reminiscent of the Mediterranean Sea and the Atlantic Ocean. You can also incorporate shades of yellow and gold which are colours of the desert and dunes. 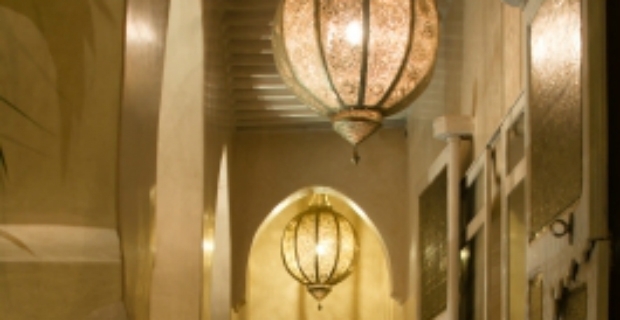 Another key to Moroccan design is the use of lighting whether they are lanterns, lamps or sconces. Add a lantern in a room with intricate glass or bead inlay for a great effect. You can also include colourful sconces in hallways or rooms where you would like to decorate Moroccan style. Clearly, if you want to emulate a Moroccan atmosphere you have to go all the way. 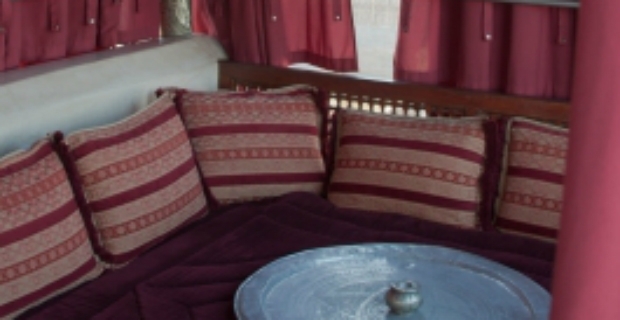 Finishing touches are vital to make a truly authentic ambience similar to homes in this North African country. Include fretwork panels in a room or a canopy over a bathtub. Add customised lounges. Embellish ceilings and walls with Moorish designs and symbols. Mosaics play a big part in Moroccan homes. They are great for tiling floors and walls. Vibrant geometric patterns make an impact or a dramatic statement. Add an ornate bed with lots of pillows or leather ottomans, poufs or wooden chests for a Moroccan influence. An inexpensive way to imitate those arches on doorways and windows is through using stencils. They have a dramatic effect on your interior design at a fraction of the cost making an effective Moroccan style home decor design ideas easy and simple. Also, don't forget to add your own special touch for a design that is truly yours whether it's the made to order cushions or wall hangings.